With Valentine’s Day upon us, you might be looking for a story of true love, a love that lasts longer than a couple’s first argument; or at least lasts beyond the few weeks of a much-hyped reality show about bachelors and bachelorettes. Well, I’ve got a good one for you. Frederick and Elizabeth Noble got married on New Year’s Day, 1941. It was a quick ceremony, as Frederick was on a 48-hour leave from his British Tank Regiment. It was World War 2, of course, and Frederick’s absence would be a hallmark of the couple’s first few years together. He was always away from home and his life was always at risk. Between military assignments all over Europe and Asia, Frederick took time to write love letters and send telegrams back to Elizabeth; hundreds of them. He wrote about life on the front; the war; the men with which he served; the weather. But mostly he wrote about home and how much he missed his new bride. One of Frederick’s letters reads, on the occasion of a leave that was retracted, “I’m very sorry my beloved, I can’t get home. That’s all I live for, home and you.” Finally, Frederick did make it home, for good. And rarely did he leave Elizabeth’s side again. The two settled in the English countryside and raised a large, beautiful family. After both had died, their children and grandchildren began going through their things, as the survivors must do, when they opened a tea chest that contained, apparently, almost every love letter Frederick and Elizabeth had ever exchanged. There were hundreds of them. 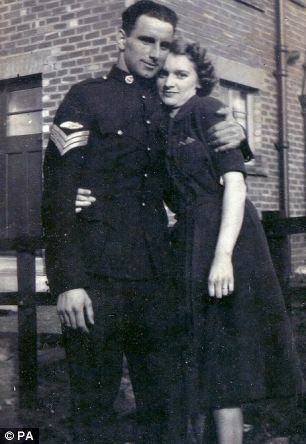 Many were from the war years, but some were exchanged very late in life, while the couple was in their 90s. It is an extraordinary collection of love notes spanning more than seven decades. Yet, the collection, in and of itself, is just that: A collection. It’s an assemblage of words. What gives the collection power, is what gives all such things their power: The love that brought them into being. For each word was driven by devotion. Every sentence was carefully constructed with affection. Each paragraph served as a confession of a love stronger than death, a love that would not allow this husband and wife to live one day away from the other. 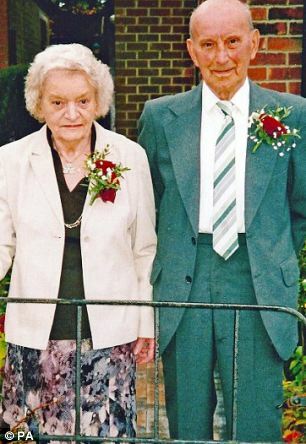 Indeed, Frederick and Elizabeth both died in December, 2011 – just days apart. Love had truly made the two, one. Have you ever received such a love letter? Do you have a collection of such words, words motivated by adoration, words from your beloved? Actually, you do, and it’s not the wide-ruled paper notes from elementary school, now stuffed into a shoebox with the crayoned question, “Do you love me? Check ‘Yes’ or ‘No?’” This collection is far more substantial and far more lasting than that. It’s that best-selling book of all time; that leather-bound volume shoved into the nightstand drawer or sitting ragged and dog-eared on the kitchen table. Or of you prefer, it’s downloaded as an app on your mobile device. It’s the Bible, and yes, it is a love letter written to you. “A love letter?” you might ask. “I thought the Bible was a book of religious laws, a book full of condemnation, genocide, hard to pronounce surnames, and the occasional children’s story. Isn’t it just a bunch of words?” Might you look deeper and read closer, for the Bible is a powerful thing, enlivened by God’s Spirit and constructed by divine affection. It is Cupid’s Arrow pointing us to the love of God in Christ. “For God so loved the world,” the familiar text says, “that he gave his only begotten Son.” That’s a summary of the whole, forever shattering the concept that the Bible is just a collection of printed pages; just mere words; or just another old, leather-bound book. No, it is a love story. It is a love letter. It is a doorway to experience Christ, the Christ who genuinely loves us – more than mere words – the Christ who just couldn’t live without us.